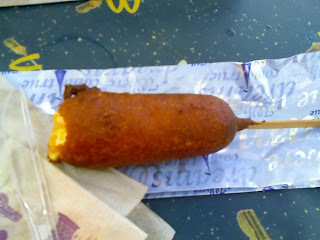 Treb's Blog Stop: Cheese on a Stick! 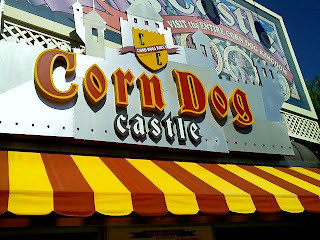 At Disney's California Adventure... THANKS DANNEEL! YUM!!!! Danneel sure knows what will make Treb sad a cheese dog and a roller coaster. Well actually, Danneel knows the "game" right Steve? I was just trying to share the LOVE! hahaha It sure was fun and tasty!